Marilyn Garland waits for her turn during a game of lawn bowling at the Central Rec Center at Oakmont Village in Santa Rosa, Ca. 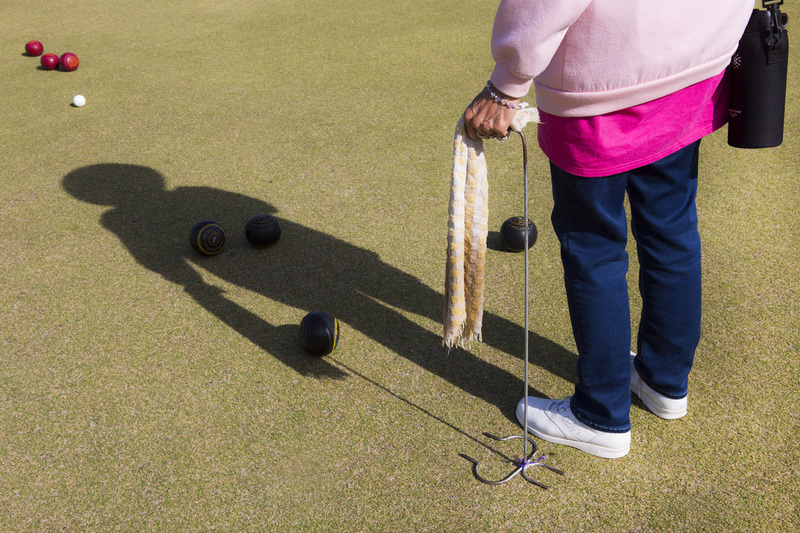 Marilyn has been playing lawn bowling for over seven years. Lawn bowling is the longest running sport at Oakmont Village, a retirement community that provides over 130 activities for it's residents.